Apartheid, Christian Libertarianism, Constitution, Democracy, Freedom, Justice, Libertarianz, Mana Party, Nanny State, National Party, Socialism, Te Tiriti o Waitangi, Treaty of Waitangi, Tyranny, Vote Wikiriwhi! John Ansell has laid down a Challenge to Achiever Maori… Here. … and includes All New Zealanders ‘with a Spine’. To My Maori Family and Friends. 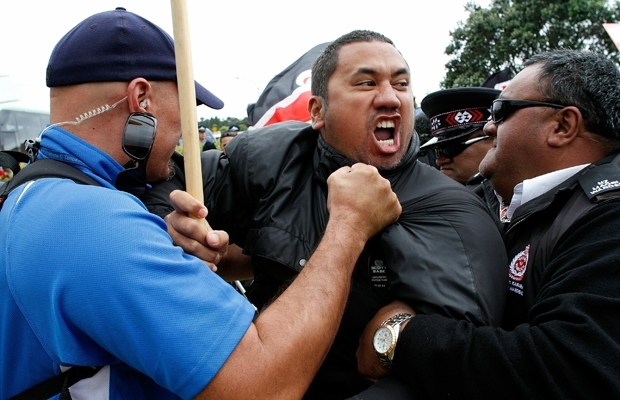 Understand that Political equality takes nothing away from Maori except Racism and Hatred. Under Liberty and equality you can still embrace who you are to the fullest extent. Stop allowing the deluded and hypocritical Racist Radicals to poison your souls with hate mongering lies. Liberate Yourselves from being used as pawns by those Political Fat cat Maori Racists whom have Got money and Power by turning you, your families, and your friends into The brown equivalents of White supremacists… heads filled with the same kinds of distorted history and Racist delusions. And to my Pakeha Family, and friends I ask you to snap out of your wooly headed acceptance of Waitangi Racism, and the separatist system of Government. You are just as Bad as the Racist Maori radicals because you sanction their lies and embrace their corruption. I call upon you to stop voting for politicians and political parties which support Racist Laws and Government. Liberate yourselves and your children from being treated as second class Subjects in your own country! Please everyone support John Ansell’s movement to End Waitangi Apartheid! Previous PostRich pricksNext PostFaith: In God I Trust! Great article, Tim, and thanks for getting behind John’s campaign of exposing the huge con that is going on in this country. I have to say it’s a huge relief to actually see something positive being said and I do hope the masses will wake up and get on board and tell the politicians that we have had enough and this divisive separatist racism must stop. We must all join to together and make this a great country again with equality for all. Thanks for your Comments Guys (and Helen!). Thanks for standing beside us Tim! Here’s hoping there are more of you out there. Lloyd, were you a member of the One NZ Foundation? The older adults do deserve the mysery of Apartheid, yet We who know cant abandon the children to this evil. We must dig deep find again the resolve to stand up for what is right.